Is it possible to find a cheap conveyancing solicitor? In some instances you may get what you pay for, and the experience of a professional local conveyancing solicitor will be reflected in their fees. Online Conveyancing may be cheaper, but you need to consider the difference in their services, with less personal contact and you cannot walk into an office and collect paperwork. Having said that Conveyancing solicitor fees are usually smaller than the Estate Agent fees and it is a crucial aspect of a property sale where your contract for the sale is drawn up. Ask the Solicitor to prepare a draft contract and apply for the title deeds, while you pull together all your paperwork on the property such as building certificates for any structural building work carried out and any valid work guarantees such as woodworm, damp etc. Solicitors fees are for the conveyancing services and the cost of selling a house that can vary hugely depending on the cost of your property and the complexity of the transaction. You can expect to pay between £200 and £1500 for this service. Solicitors will provide a written contract with fees detailed as an estimate often based on hours or an hourly rate. Ensure that you see a full and open breakdown of the fees such as the Conveyancing solicitors basic fee for work completed plus disbursements. Be sure that the solicitor fees are clearly quoted distinctly from disbursements and searches. Online conveyancing has become increasingly competitive and many firms offer an online conveyancing fee. Compare conveyancing fees and check all disbursements. Be careful when comparing conveyancing costs to compare like with like and ensure the Solicitor reveals all of their basic costs and the disbursments payable separately. Choosing a good conveyancing specialist solicitor is crucial to selling your home with least problems and delays. Research reviews for recommended conveyancing solicitors online and ask friends of family who have moved house recently for a recommendation. Check comparison web sites and request a number of quotes, however be cautious. Comparison web sites usually take a commission and so only present signed up conveyancing services. You need a thorough conveyancing process with good communication from your chosen solicitor, who will be pro-active and push your deal through. Try to choose a firm who specialise in residential conveyancing or have a specialist conveyancing department. A local family law firm are not likely to specialise and are as a result are less likely to be efficient and be technologically advanced to provide a modern conveyancing service. 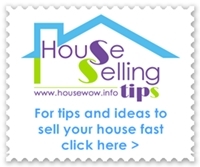 A Solicitor may be able to recommend a local Estate Agent, if instructed early enough. This early organisation of your legal requirements for the property contract can ensure, not only a stress free legal transaction, but also a smoother faster house sale with a better Estate Agent and money saved in the long run.